View previous posts, everything is already said. Mine is completely sanded (hence the price of 80 €) and a friend I must paint it. To access the treble I've never had as much ease! Access to the 21th fret is without force! What happiness! and beyond the frets are very accessible but it is not my chosen field. 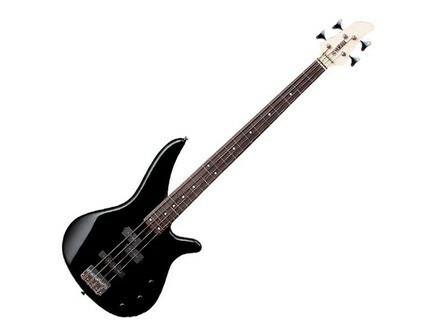 The bass is more or less balanced, being a fan of KoRn style is perfect for me. It is very light, especially compared to my Cort, 2000, in good solid mahogany. The sound level accurately adjustable potentiometer, 2 volumes and a tone that works very well. Rendering the sound is great, to switch its aggressive finger velvety sound slap. Each microphone fits his role well: good bass for the neck pickup and treble crados for the bridge pickup has essentially the height of my pickups. Playing mostly metal it suits me very well. The sound is very fat, very fat (I play on a behringer BXL3000A) and low to render evil with the overdrive channel (which is nothing but a boost). I love to feel the amp cruncher at my fingertips, the former owner who put together the microphones, just push harder to magnify the sound. However I do not like the bridge pickup with the tone down. The sound is thick and poorly defined. But with the tone from 20% this problem does not arise. In slap tone with a background sound are just too slammed, it must modulate enough to get serious. For the tribal music, I can not get a sound quite full of medium, but the bowl 15 "is for something. I use it now since November after finding on the right corner. When I started on bass 2 years ago, I owned a yamaha rbx270 that I sold to buy a Cort Artisan 5 string old in 2000 (a vintage dung compared to today). 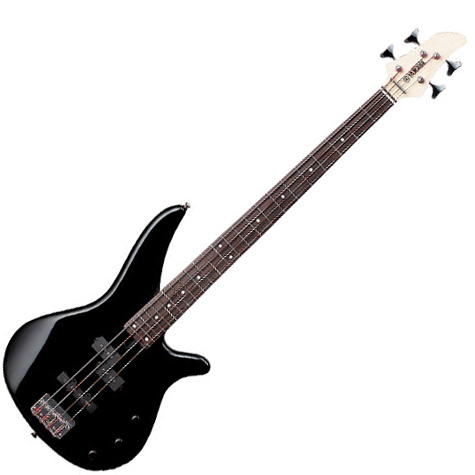 But I missed that old bass and I bought the lower model, used almost as I judge best. I love the look of this bass, very neo with a small body, the sound is monstrous when it is set, it has no buzz and now 3 years. The handle is very comfortable, very round, but a little too thick, it should be just that I can practice. After being brought to my music teacher, this one asked me how much I had paid, "200-300?". No no, 80 €! "Some people are real pigeons, this bass is 2 times more!" My sound is probably the very dry sanding Integral my bass and I like it. This is the best value I've ever seen. It's as if I bought a wheel and they offered me the car! I do not regret myself separated from my first bass for a chance stumbled on this one. Probably a huge fluke.